Leading effectively is, for lack of a better term, HARD. It requires being a visionary, management skills, a gift of making connections, and TOUGH skin! It doesn’t require a title or position, although often times there is one. Anyone can lead from where they are, and anyone can be ineffective in leadership position. Great leaders are not made from hierarchical positions, nor are people born with leadership ability. The habits of great leaders can be learned by all. Some choose to embrace them, others choose to manage instead. Legacy leaving leaders, or what I like to call, L3s, have incredible traits that enable them to make a larger impact that lasts beyond their service. They are curious, they dream, and they are relentless. They do these things in a transparent way so others will become inspired, and they communicate their dreams in such a way that others want to be a part of them. L3s have many traits that contribute to their ability to leave a legacy, but I have a few favorites that stick out for me. One of my favorite ways to spend time is to watch kids acting on their curiosities without adults intervening. Children are so naturally curious about the world and everything in it. They ask lots of questions, but do we always stop to listen and help them find the answers? Over time, many children lose their natural sense of wonder. I believe much of that has to do with the way our school system is structured, and the busy lifestyles families live. Too often we are moving so quickly that we don’t take time to foster the curiosity of our kids. If we aren’t doing this for our kids, we certainly aren’t doing this for ourselves. We owe it to our kids to be passionately curious about what is around them! They watch us closely. Are we modeling our own sense of wonder? Doing so will send a strong message to kids that we do not know everything, and that we want to continue learning. Whether you serve in a classroom, school, central office, or state level position, you are first and foremost a learner. Your curiosity is what drives educational reform. We need you to share more of it with others and become publicly curious to ignite conversations. Our kids deserve nothing less than your passion and wonder shared with the world. What drives your passion? How do you seek inspiration? Make sure you set aside time for it, because that will help you evolve into a curious adult learner who uses inquiry to become better, and to make a difference. Transparency can be the latest buzz word, IF we allow it be! There is so much more to this word than a trend. Being transparent does not mean we are unable to have privacy! Some truly believe they must jeopardize their personal privacy and confidentiality in order to become transparent, but that isn’t the case. Transparent leaders are firm in their beliefs and values. They do this by allowing everyone to see where they stand, and what drives them. They demonstrate passion, determination, and share with the purpose of inspiring. They celebrate their own joy for what they do. Everyone knows how a transparent leader feels regarding her profession, and people know who she is as a person. Transparent leaders allow people IN. They connect with others beyond face to face interactions. How powerful is that? We care for the treasures of many families. They deserve to know who we are. We need to share ourselves with children, staff, families, and the community in order to contribute fully. Education is a servant profession, and it is about children, not adults. Kids are our customers…we are here to meet their needs. The more transparent we can be, the more trust we establish with all shareholders. That trust empowers us to make the biggest impact we can possibly make! What can you do in the future to increase your transparency and allow others to see who you are? Visibility is a nonnegotiable for leaders. How can anyone lead sustainably without being present? Here is another question to ponder: Do visibility and presence mean the same thing? The answer is a very big NO! Visible leaders are not only present in the physical and geographical sense, but emotionally and mentally as well. L3s use the power of being visible to connect, inspire, communicate, and empower. Their visibility is intentional in nature, meaning they set out to impact others in a positive way. Being seen is not enough for L3s…they strive for more. They seek others out in order to make a difference. Consider the teacher who is present at her door in the mornings as students come in and is grading papers, versus the teacher who is giving out high fives, asking about ball games, making eye contact, and smiling. Both are highly visible, but one is truly present. Which teacher do you want for your loved ones? Consider ways you can become more intentional about being visibly present! What obstacles stand in your way? What resources do you have that will enhance your efforts? Make a plan today! When I was a little girl, it was very common for my family to refer to me as “hard-headed” and “stubborn”! My first phrase spoken was, “Me do it myself”…and most of the time, I did just that! Having a hard head can be a weakness, but it can also become a strength. Turning the stubborn disposition into one of determination is a way to empower. I learned this as I matured through the years (with some hard lessons, of course!) and experienced some of what life had to offer. A relentlessly determined leader has a mindset that never stops, is never truly satisfied, and continually chases excellence. L3s have a fire inside that helps them accomplish huge obstacles when they keep their eyes on what is best for kids. Knowing that there is a need in order to move forward predetermines an L3’s efforts in making a vision reality. This is not a one time shot…L3s hit roadblocks and have to revisit their plan of action. They find a way around it, or they go right through it! The obstacle may slow them down, but it doesn’t stop them from pressing forward. How can you become more relentless? What are your fears in doing so? List them, reflect on them, and make a plan to face them head on! Communication is often the key to success or failure of an organization because it is the tie that binds strong relationships. The art of transparency and visibility play a large role in an L3s ability to communicate effectively (see the connections?). The art of communicating (yes, I consider it an art!) is not a one way course. L3s know how to navigate the two way street of communicating with connecting. Everyone communicates…but does everyone make connections with others when doing so? We all know people who talk at us, tell us information, deliver messages, etc. This is basic communication, but not at the level of an L3! Relationships are at the heart of communication in an L3’s world! People come first over any program, assignment, task, or paperwork. Connecting is THE most important act we can perform on a daily basis. It must be authentic, consistent, and intentional. Communication is merely to share information, otherwise. What can you do today to improve your communication with others? Even more importantly, what ways are you communicating like an L3 leader that could help someone else? How many people do you know who have forgotten how to dream? Often these people are unhappy, pessimistic, and downright grumpy! Dreams are a venue for hope, change, and growth. Human nature forces us at times to stifle our own dreams because of the limits surrounding us. The power comes in seeing beyond the limits, yet honoring current reality. We can never be satisfied with status quo, but also need to remember that once upon a time status quo may have been a dream in our minds. Dreaming fosters the evolution of our world, but ONLY IF it is shared with others. Dreams/visions are more likely to become reality if people know about them. Others may share your dream and work with you to make it happen. Dreaming out loud inspires others! It provides hope and something to look forward to. It shows the world that you have aspirations, even though some aspects may be uncertain! L3 leaders continually dream and they do it with gusto! They share with others, even if they don’t have a plan yet. One of the biggest barriers is a leader believing he must have a plan of action before sharing a dream or a vision. This isn’t always the case! Leaders do not have all the answers, nor should they. Other people can and will contribute to the dream/vision if provided an opportunity. How close are you to becoming an L3 leader? Have you made it? Are you stronger in some areas than others? Who can you surround yourself with that will balance your weaknesses and strengths? These are important reflection questions when pursuing your role as legacy leaving leader. It is possible for ALL of us. We can learn these traits, and we can be great at them. No one is born a leader, and everyone can become one. We all lead, but are we leading to our potential? More importantly, do others want to follow? 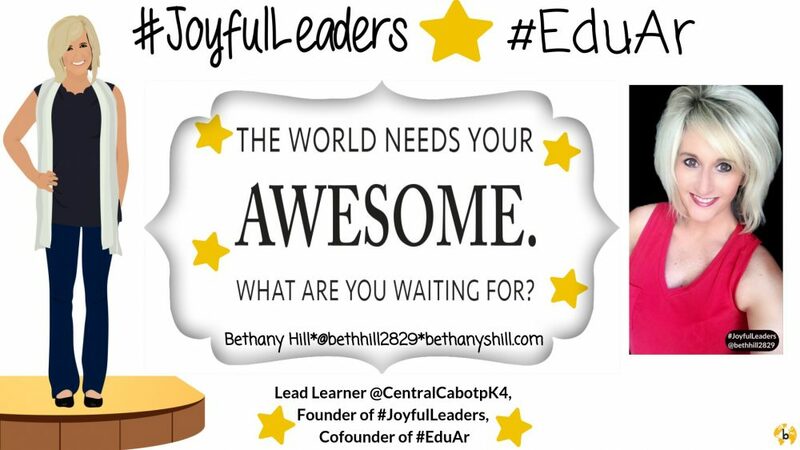 This entry was posted in Edcucation, Leadership, Reflection, School Administration, Vision/Goals and tagged Education, Relationships, School Administrators, school culture, school leaders. Bookmark the permalink. Amazing piece! This gives me quite a bit to reflect on as I work on becoming an L3! Love it, Bethany!! Count me in as an L3 in progress!! I have been revisiting and reflecting on the following post that I wrote in 2016. It is the focus of the March 27, 2018 #CultureEd chat on Twitter. While I feel I have made strides toward being a L3 (Legacy Leaving Leader), I know I am still a work in progress. When I first wrote the post, I honestly felt as if I would have arrived by now! My reflections have led me to realize that being an L3 requires daily refleciton to action in all 6 areas, and living them with intention. We never ‘arrive’, because leaving a legacy is not about reaching a destination. It is about maximizing moments in the journey, and learning with others along the way. My blog posts are always reflections on my experiences and learning. I can learn from reflections on my own reflections, and become stronger because of it.